Ron Harmon didn’t set out to build the world’s largest tractor; necessity required it. In 1974, he purchased what was then called Northern Manufacturing in Havre. The following year, a client placed one tall order. A tractor meeting the Rossi Brothers’ requirements would have to be colossal, but that didn’t deter Harmon. Because Big Bud afforded Harmon flexibility, he was not afraid to take on the Rossi Brothers’ project; though, that is not to say that it was an easy task. The tractor was built to produce 760 horsepower using a 16-cylinder Detroit Diesel engine. Along with speed, the tractor had to have considerable heft—which it did. With its 1,000-gallon fuel tank full, it weighed over 100,000 pounds. Today, Harmon’s tractor business is known as Big Equipment Company. 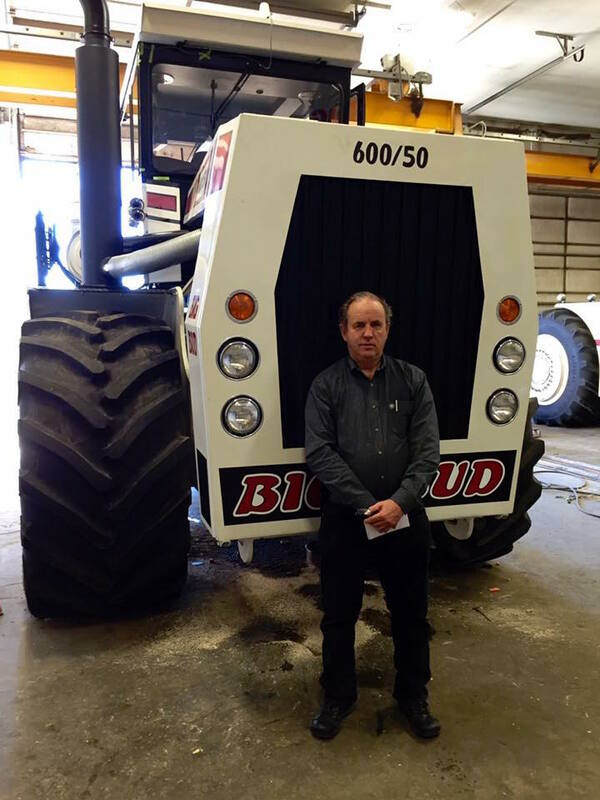 Though its name has changed, the company continues to build and rebuild Big Buds, and in fact, Harmon describes his tractors as “infinitely rebuildable.” Over the years, the Big Bud 747 has received many upgrades of its own and made its way across the United States under various owners. Harmon still keeps an eye on it from time to time—the big tractor that landed his small community on the world map.